» Click on a watch or warning above to view the details. Details open in a new window/tab. »Click on any of the "Alert For:<" headings to subscribe to weather alerts for that region (via RSS Feed). Dial 911 | In the event of an emergency, call 911 from any phone. Text 911 | Registered users, text 911 from your mobile phone. The OPP is equipped to receive emergency calls for service via Text with 911 (T9-1-1) from people who are deaf, hard of hearing, or speech impaired (DHHSI). In order to use T9-1-1, members of the DHHSI community must register their cell phones with their wireless carrier in advance. The T9-1-1 service is not intended for use by the general public. Citizen Self Reporting | Report non-emergency incident via computer or mobile device. The Ontario Provincial Police is pleased to offer Citizen Self Reporting, an alternative reporting option that allows the public to report specific crimes to police via the internet, anywhere, anytime. 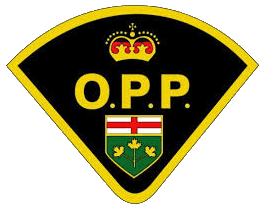 The OPP’s Citizens Self Reporting system allows members of the public to use a computer or mobile device to report an incident without requiring an officer to attend the scene. Citizen Self Reporting is simple and convenient and can be used when reporting incidents that do not involve injury or a suspect, or a crime that is not an emergency. The use of this new system is completely optional. Police will still attend a call for service if desired. Liaison between the Town of Mono and the Detachment is through the Mono Police Services Board and the Mono Community Policing Committee. Meetings are held at 7:00 p.m. in the Committee Meeting Room of the Town Hall (347209 Mono Centre Road). Meetings are open to the public. Anyone wishing to make a presentation to the Board should contact the the Town at info@townofmono.com at least two weeks prior to the meeting. Council Resolution: We will allocate the necessary resources to develop and implement a strategic energy management plan that will reduce our energy consumption and its related environmental impact. We exercise stewardship in our use of finite energy resources to demonstrate leadership, optimize our delivery of services, and enhance the overall quality of life in our community. We will incorporate energy efficiency into all areas of our activity including our organizational and human resources management procedures, procurement practices, financial management and investment decisions, and facility operations and maintenance. To continuously improve the energy efficiency of our facilities and processes in order to reduce our operating costs, our energy consumption and the concomitant greenhouse gas emissions. We will reduce our consumption of fuels and electricity in all municipal operations each year between now and 2020. To convert all lighting in town facilities, parking lots and street lighting to LED. This conversion began in 2012 with the Municipal Office Building. We need reliable, low-cost, sustainable energy sources delivering energy to the most efficient facilities and energy-consuming technology feasible. Internal stakeholders (Council, CAO, staff) need to be able to clearly communicate the corporate commitment to energy efficiency, and to develop the skills and knowledge required to implement energy management practices and measures. External stakeholders (the Province, community citizens and groups) need the municipality to be accountable for energy performance and to minimize the energy component of the costs of municipal services. Our assessment of organizational capacity for energy management with respect to energy policy; organizational structure; employee awareness, skills and knowledge; energy information management; communications; and investment practices indicates the following: The Town of Mono has pursued many measures to improve the energy efficiency of municipal equipment. Some of these measures include: Interior and exterior lighting upgrades at The town offices and Monora Park Pavillion Proposal to Council for conversion to LED street lighting Approved FIT project for solar photovoltaic applications at Town facilities. As the understanding of corporate energy consumption improves, staff will be equipped with the knowledge necessary to make informed decisions. This improved understanding will also reveal how simple actions like commissioning and maintenance procedures can improve existing equipment efficiency. The management of energy consumption and the energy performance of our facilities and equipment are the responsibilities of: Finance (cost management), Works Department (maintenance), Department managers (operations), and the CAO for leadership. Summaries of energy consumption and greenhouse gas may be found in appendices to this plan. Our energy consumption decreased due to efficiency created by upgrading our buildings with spray foam insulation, high efficiency furnaces and LED lighting retrofits. This trend will continue with additional upgrades and retrofits. Implementation of the LED Street lighting conversion in 2014. The Town of Mono aspires to show leadership in the promotion and development of renewable energy systems that are compatible with our asset management and land use planning objectives. As a result, we have applied for and received approval to develop a solar photovoltaic system on the rooftop of the municipal garage/shop building, subject to capacity of the adjoining street hydro system to take the resultant additional current. The town will consider possibilities for additional roof top installations on municipal buildings. As an integral component of the management structure, the energy management plan is coordinated with the municipality's budget planning process, preventative maintenance plans, environmental management plan, and the overall asset management plan. We will incorporate energy efficiency into standard operating procedures and the knowledge requirements for operational jobs. We will incorporate life cycle cost analysis into the design procedures for all capital projects. We will clearly designate leadership and overall responsibility for corporate energy management. Our purchasing procedures will be modified as required to incorporate energy efficiency into the criteria for selection of materials and equipment. We will develop criteria for the design and/or acquisition of new buildings that include energy performance factors and that use as appropriate the principles embedded in performance standards such as LEED and the Model National Energy Code for Buildings. We will carry out a comprehensive review of all business processes and modify them as necessary in order to incorporate energy efficiency considerations. We will carry out the required development of business procedures and communication programs and implement them methodically according to the planned time lines within the resources constraints that apply. We use department and facility energy team representatives to facilitate the implementation of facility level business procedures and communication initiatives, including energy performance reporting. We will review and evaluate our energy plan, revising and updating it as necessary, on an annual basis within our corporate planning process. We will correlate our progress towards corporate goals and objectives, and update those goals and objectives accordingly. Overall Target: We will reduce our overall municipal energy consumption (from all facilities and streetlights) by 5% from 2014 (based on baseline data) to 2019. The baseline was determined by averaging the annual consumption in ekWh for 2011 and 2012 for all facilities reported under Regulation 397/11 plus streetlights as they are such a significant energy consumer. Governments at all levels are moving to address emissions of greenhouse gases (GHGs), in light of scientific evidence on how human activities are affecting the world's climate. For more information on the science, see http://www.ipcc.ch/. The combustion of fossil fuels in buildings is a major source of GHG emissions that fall under local government influence. Municipalities can lower emissions by improving energy efficiency of buildings and using more renewable energy. The Town of Mono is committed to both objectives through the development and implementation of this Energy Conservation and Demand Management Plan (CDM). We will continue to track and report on GHGs as part of our regular reporting on energy consumption and will evaluate progress in this area against our overall reduction target. Summary of Current Energy Consumption, Cost and GHGs: The current energy usage by building is detailed in Appendix A. Our energy usage is updated monthly in the Energy Planning Tool (EPT) and reported annually to the Ministry of Energy. Energy Consumption: We will review and evaluate our energy plan, revising and updating it as necessary, on an annual basis as based on the Energy Consumption Reports that are submitted to the Ministry of Energy on an annual basis as required under Regulation 397/11. LED lighting for the Municipal Office Building. Convert lighting fixtures to LED. LED lighting upgrade for the Public Works Shop. Reinsulate the Municipal Office Building with spray foam. Retrofit parking lot lighting to LED. Install a 100 kw solar photo-voltaic panel system on the shop roof. The Mono Community Policing Committee is run by volunteers who live and/or work in the Town of Mono and meets bimonthly to allow for feedback from committee members, individual residents, and the OPP Community Policing Officer. The committee also operates the Neighbourhood Watch program. Use the above link to open a map where you can search by street address to determine which Fire Area you live in. Call the Town Office at (519) 941-3599 if you are unsure which fire department serves your property. Properties in the Town of Mono are served by one of four fire departments. The Town of Mono is served by the Dufferin Detachment of the Ontario Provincial Police. Community Centres Varies » See the Banquet Facilities for details about the town's two community centres. Required annually. Animal control, including dog tags, is handled by the Orangeville branch of the OSPCA. Fire Permit No Charge Required annually. » See Waste Management for more info. Lottery Licence 3% of estimated total value of prizes. $80 » See Planning for more info. Tax Arrears 1 ¼% per month or part thereof. » See Treasury & Taxes for more info. Information and rules for residential well owners for the proper location, construction, maintenance and abandonment of a well. This map allows you to search and view well record information from reported wells in Ontario.